If you've got Thai fare on the brain, a recent opening is need-to-know. Located at 3814 Piedmont Ave., the new addition is called Thai Taste Kitchen. In addition to classic dishes like pad thai and papaya salad, the newcomer has drawn praise for its pineapple fried rice, khao man gai (braised chicken over rice) and crispy pork belly with basil stir-fry. The new addition has proven popular thus far, with a 4.5-star rating out of 14 reviews on Yelp. Yelper Tony R. said, "I love the food here! Service is excellent. I had the papaya salad, khao soy, and the crunchy chicken thingy. Man, I'm glad this place opened here. 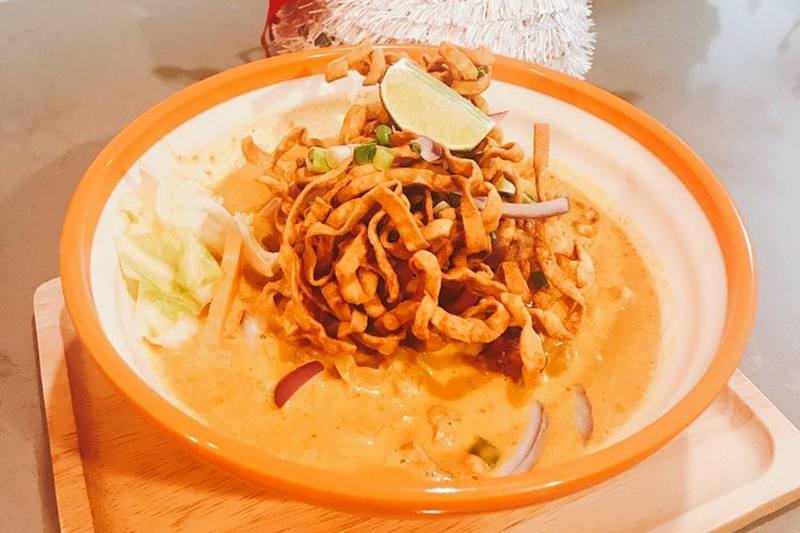 I've been looking for a place that served khao soy in the area." "The experience is totally relaxing. Talk about a Zen moment -- they play music that makes you think you're at a spa," Yelper Melissa U. added. "The customer service is very good." Swing on by to take a peek for yourself: Thai Taste Kitchen is open from 10 a.m.-3 p.m. and 4:30 p.m.-9 p.m. on weekdays and 11 a.m.-3 p.m. and 4:30 p.m.-9 p.m. on weekends.